The AT&T Performing Arts Center strives to make its performances and facilities accessible to all our patrons. For additional information or if you have questions, need assistance, or an accommodation not mentioned below, please contact the Access liaison at 214-978-3632 or access@attpac.org. All entrances to the buildings and theaters are accessible. Elevators operate between the Lexus Red Parking and main entrances for the Margot and Bill Winspear Opera House as well as the Lexus Silver Parking and the Dee and Charles Wyly Theatre. Elevators also operate within theaters between the orchestra, terrace, and upper levels. All theaters have wheelchair- and scooter-accessible locations where patrons can remain in their wheelchairs or transfer to theater seats. Patrons who cannot or do not wish to transfer from their wheelchairs to a theater seat should request wheelchair-accessible locations when ordering tickets. Seats with removable armrests are available on all levels. Bariatric chairs are available with advance notice. All public restrooms are wheelchair accessible. 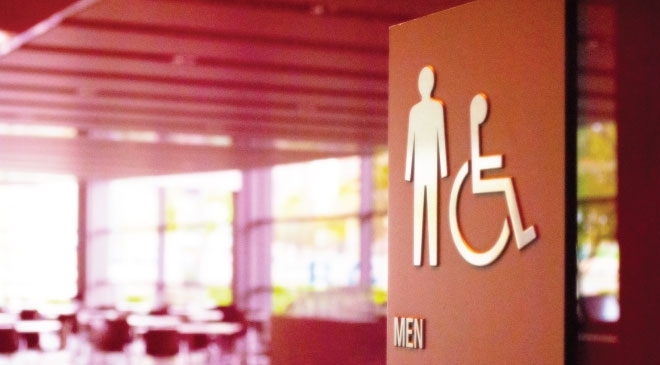 Companion care restrooms are located on every level on the west side of the lobby and on Orchestra and Upper Grand Tier on the east side of the lobby. Access Ushers are available starting one hour before performances begin to assist patrons in getting from the front of the building to the theaters. At the theater, Access Ushers are available to assist patrons to their seats or wheelchair-accessible locations. Mobility aids that cannot be stored safely within the patron’s seating area and wheelchairs for those patrons who transfer to a theater seat will be stored outside the theater as close as possible to patron’s seat. At intermission, Access Ushers make every effort to check in with patrons who may need assistance getting to restroom entrances or intermission bars. At the conclusion of the performance, Access Ushers are available to assist patrons to the elevator banks or the front of the building. Please note: Access Ushers are not available after performances. Staff, volunteers, and ushers are not able to assist patrons in transferring to or from a wheelchair, theater seat or vehicle; operate motorized mobility aids such as scooters and Segways; or to provide personal attendant services such as assisting patrons in the restroom, with taking medications, or with similar activities. Ushers are not permitted to accompany patrons into the parking garage. Assistive listening devices (ALDs) amplify and clarify sound by cutting down or eliminating ambient noise. Infrared assistive listening systems are installed in all theaters and headsets may be used at any seat. Headsets with induction neckloops are available for patrons who use hearing aids and cochlear implants with a “T” switch. Ask your audiologist whether your hearing aid or cochlear implant has a “T” switch (telecoil) and how to use it with an assistive listening headset. Headsets are distributed free-of-charge on a first-come, first-served basis at coat check with the deposit of a driver’s license or identification card. The AT&T Performing Arts Center offers sign language interpretation upon request. Requests for sign language interpreters must be received at least two weeks prior to the event. These requests are subject to the availability of an interpreter and are provided at the discretion of the management.